3D CAD is integral to the engineering design process and handling complex CAD is one of the key features that has set 6SigmaET apart from the competition. To build on this functionality, we have added the ability to import two more industry standard formats: STEP and IGES. STEP and IGES have several advantages over STL. Firstly, the model hierarchy, part and assembly names and colors are retained during the import, creating an exact replica of the actual CAD model. Secondly, STEP and IGES allow you to bring in each surface as individual ‘face’ objects, making it possible to model thermal and electrical contact resistances between objects, as well as individual surface finishes for accurate radiation calculation. You can also view results for individual faces. These are all features that were often requested by users. So how does this work? 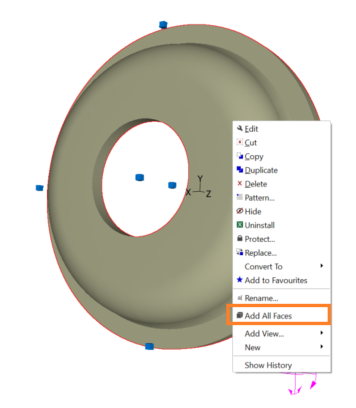 Click on the ‘3D CAD Model’ button on the import ribbon; this button replaces the previously named ‘STL CAD Model’, and all three options (STL, IGES and STE) reside under this option. 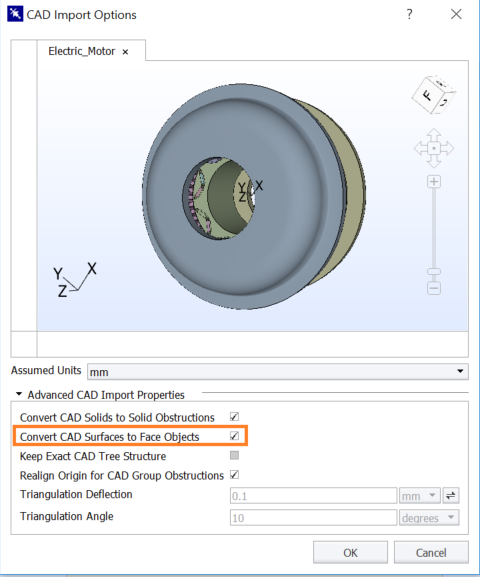 For STEP and IGES, there is an option to ‘Convert CAD Surfaces to Face Objects’ under ‘Advanced CAD Import Properties’. This option brings in all faces for all CAD objects on import. Faces can also be added to selected objects after import by right clicking on their node in the model tree and selecting ‘Add All Faces’. This method is more efficient if your CAD model contains many objects, to avoid bringing in a lot of unnecessary faces. Once you have faces in your model, you are free to assign Thermal Interface Material (TIM) objects and different materials to individual faces to replicate contact resistances for thermal and electrical conduction, as well as surface finishes. We believe that these new features not only overcome the limitations of using STL shapes but also significantly accelerate the thermal design process.